JEB’s LOGO: GENIUS, GUTS OR GAFFE? 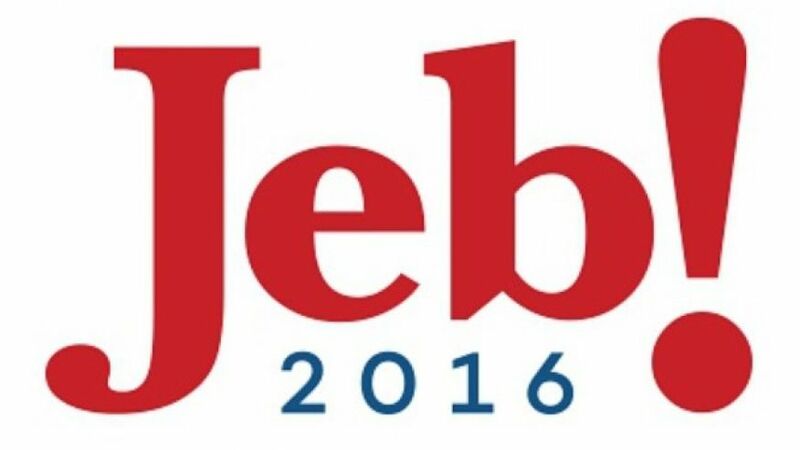 Is Jeb’s logo a gaffe? Is it an oversight? Is it defiant? Or is it clever? This week Jeb Bush officially entered the 2016 race for President. 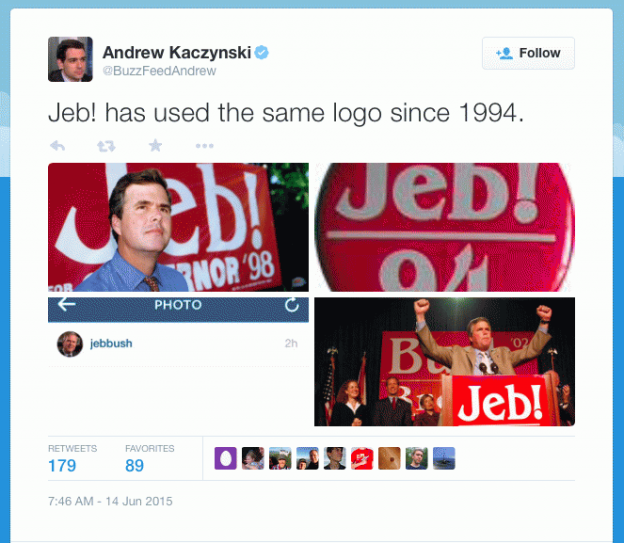 One of the unexpected pieces of media coverage and trends on social media was the debate over whether Jeb’s logo was outdated and lacked imagination. With the tens of millions of dollars in the bank, deploying latest technology and assembling the best advisors a candidate for President could ever hope for, folks are scratching their heads over Jeb’s campaign logo. So is the logo a thumbs up or down? Let’s answer the question by simply understanding the purpose of a logo. A logo is an ancient form of inspiring, impressing and imprinting audiences. Hieroglyphics, paintings on cave walls and family coat-of-arms are early examples. Today say the words Apple, Nike, Target, Walmart, Microsoft and Coke, and you immediately see these company logos and vice versa. Let’s take it one step further. Of all of the GOP presidential contenders, other than Jeb, who can get away with using their first name? Donald Trump would be close second, but it’s his surname. Advantage Jeb. We as a society relate and identify to one name fits all: Madonna, Beyoncé, the Boss, Hillary, Obama, the Gipper, FDR, JFK, and Ike (“I Like Ike” still one of the best campaign slogans ever). 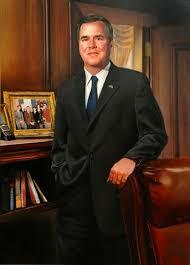 It conveys the Bush brand by implying – John Ellis Bush. The logo plays down the Bush name and the dynasty attacks. Jeb’s logo is a two-time winner in Florida, a key primary and general election state. It differentiates from the other candidates and easier to recognize. It grabs your attention. When’s the last time you saw a Republican candidate for President without using his/her surname? The logo just fits the candidate. And who else do you know named Jeb? It stands out. 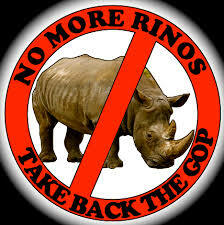 There are detractors of course who would say that an old logo is fitting for a politician who is past his prime. I get that. Still, here we are days after Jeb’s official announcement. Everyone is referring to him as Jeb. See what’s happening here? Jeb and his logo are poised to go deep into the GOP primary and chances are pretty good that Jeb will win both the primary and presidential elections. 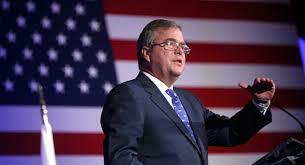 If that happens, Jeb will join Ike as a presidential brand and logo that won the favor of the voters. Jeb Bush is the political story of 2015. His non-announcement for President has Americans talking from both the left and the right. 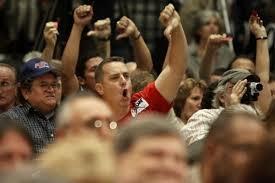 Surprisingly, liberals and Tea Partiers have come together in expressing their common angst for Jeb. Liberals have come out attacking Jeb as a conservative in moderate’s clothing, while Tea Partiers have publicly crucified Jeb as a false prophet of conservatism. When you mention Jeb as a Presidential candidate to Tea Partiers, they all have the same dismissive look of disgust and anger. 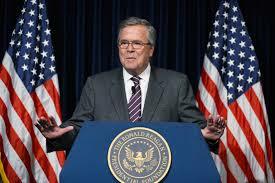 Issues on immigration, Common Core and the Bush brand makes Jeb’s presidential nomination very unlikely. So how will Jeb Bush win the GOP’s presidential nomination, save the party from itself, and still be able to win the White House? The key to Jeb’s success and the Republican Party winning the White House is Ronald Reagan. In June of 2012, Jeb made a prophetic statement that set the tone for his 2016 presidential run and the potential future of the Republican Party. Jeb in an interview stated that Ronald Reagan (and his dad) would have had difficulty getting the GOP nomination for President if he were to run today. Meaning, Tea Party Republicans who profess their love for Reagan would today, reject one of the country’s greatest Presidents. 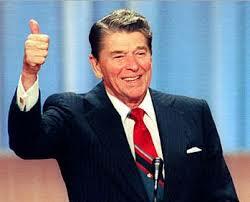 As California’s governor, Reagan passed the largest tax increase in California’s and the nation’s history at the time. Over $1 billion. Reagan would also increase taxes when he was President. Reagan had Tip O’Neil, Democratic Speaker of the House to accommodate. Reagan accepted tax increases to get his historic tax cuts. In today’s social-media fed environment, Reagan would have been vilified by the Tea Party, had he tried to broker the same deal today. Reagan’s position on immigration and deficit spending would further fuel a Tea Party backlash. President Reagan would have been called a RINO (Republican-In-Name-Only) and a moderate by Tea Party operatives, as well as talk show radio. See: 5 Reasons Why Ronald Reagan Couldn’t Make It in Today’s GOP. Reagan’s conservative rhetoric didn’t always match his actions as President. This is a fact that many Tea Party leaders ignore. It’s the 800 pound, pardon the pun, elephant in the room. It’s just easier to keep conservatives’ heads in the sand and conducting conservative witch hunts to see which Republicans float or sink. Jeb was attacked by the right and talk radio as a blasphemer. Unlike President Obama who didn’t have a body of work before he was elected President, Jeb was governor of Florida for eight years. Anyone who has worked in Florida politics, business, and government will tell you Jeb was a conservative governor. More than Reagan. As governor, Jeb carried out the principles of conservatism: He cut taxes, privatized government, balanced budgets, reduced deficits, legal reform, reformed education to include school vouchers, to name just a few. Jeb’s tenure as governor concluded one election cycle before Obama was elected President in 2008. 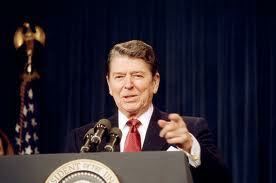 During Obama’s first two-years, conservatives pined for another Reagan to lead and fight for America. The anger and powerlessness we felt as conservatives was palpable. It seemed the only voices for conservatives came from talk radio. The Obamacare town hall meetings over the summer of 2010 would become the catalyst for sending Conservative Republicans to Congress, with the mission of stopping Obama’s collective efforts to weaken, socialize and decimate America. The Tea Party had arrived, which I celebrated at the time. In 2010, there was a void of Republican leadership, which gave rise to angry conservatives who felt disenfranchised within the Republican Party. For a time, the anger was directed toward stopping Obamacare, but that anger would grow toward the GOP establishment, which became evident in the U.S. House of Representatives and Congressional primaries. For two election cycles, Republicans were infighting and could only come together, over 50 times and still counting, to repeal Obamacare in the House of Representatives. During this period, the GOP transformed from a party of positive, forward-thinking, problem solving optimists, with an inspiring vision for America to simply “The Party of No”. 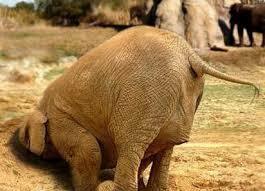 As I see it, the Tea Party is predicated on fighting Obama’s socialist agenda. Not to say it hasn’t worked, because the Tea Party was a great force behind the Republican waves of 2010 and 2014, but that was Congress. Presidential elections are a different electoral beast as we witnessed with Obama being re-elected in 2012. Jeb is the GOP’s best chance of winning Florida. Who else on the GOP bench can win? If you cannot win Florida, then step aside. Reagan would endorse Jeb for several reasons. First, he appointed Jeb’s dad as his Vice President. George H.W. Bush was part of the GOP establishment, the same establishment that fought and defeated Reagan in 1976. Second, Jeb is a practical mainstream conservative who will compromise to pass good policy, without compromising conservative principles. Third, both liberals and far-right conservatives had beefs with Reagan. Today, it’s Jeb who is emerging as an outlier for mainstream conservatism, much like Reagan in 70’s and 80’s. Fourth, Bush is a winning brand. Americans like successful brands that win and so did The Gipper. Most importantly, Reagan would have been savvy enough to know that any Republican presidential candidate must win Florida. For over two decades, Florida has had Republican governors and Republican legislatures, but the state not only voted for Obama once, but twice! Not to mention that Florida Republicans cast more votes for John McCain in 2008 than they did Mitt Romney in 2012. Ronald Reagan is the reason why I became a Republican. Ronald Reagan is my inspiration as a practical conservative. 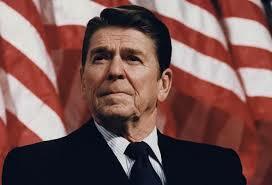 Ronald Reagan is my hope for Republican Party winning the White House in 2016. It’s clear that Reagan was a practical or mainstream conservative who bent and sometimes abandoned conservative principles to pass public policy. The result was Morning In America, which underwrote the legend and the myth of the Reagan Revolution. Jeb Bush may be the next Ronald Reagan or even better. Tea Party Conservatives need to re-examine why they loved Reagan and would they vote for him today. 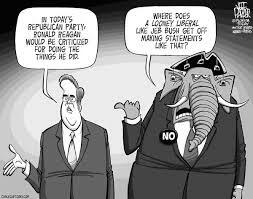 Of course they would and that’s why Tea Parties need to take another look at Jeb. The principles of conservatism are sound because they are based on what men and women have discovered through experience in not just one generation or a dozen, but in all the combined experience of mankind…I have seen the conservative future and it works…Our task is not to sell a philosophy, but to make the majority of Americans, who already share that philosophy, see that modern conservatism offers them a political home. In fact, Hilton went on to say that the data suggested Bush is nearly in line with the Republican mainstream on education and immigration, despite a wide perception on the right that he’s too moderate because of his support for Common Core and an immigration overhaul. Jeb is at the mainstream of conservatism. Still Jeb needs to campaign and articulate his vision for America. He will need to answer several hardball questions and explain his positions on immigration and Common Core. There’s much more to Jeb Bush than the hyperbole seen in the echo chambers of talk radio. Jeb is the only candidate who has the conservative credentials, the executive leadership and brand name that offers a majority of Americans a political home. Jeb Bush’s presidential candidacy is the GOP’s best chance for bringing mainstream conservatism and Morning Back to America. SL7 Communications is led by Patrick Slevin, whose meteoric rise in public relations started when he was elected the youngest GOP mayor in the nation in 1996. Six months after his election, Patrick was appointed spokesman and surrogate for presidential candidate U.S. Senator Bob Dole. Since 1996, Patrick has educated opinion leaders and engaged stakeholders as a Florida mayor, Fortune 500 corporate public relations manager, national trade association communications director, international agency executive, corporate trainer and public speaker. Email Patrick at pslevin68@gmail.com or follow him on Twitter @patrickjslevin.